Service: In need of some repair on your Mercury or Yamaha outboard? Give us a call or send us an e-mail to schedule your service appointment. 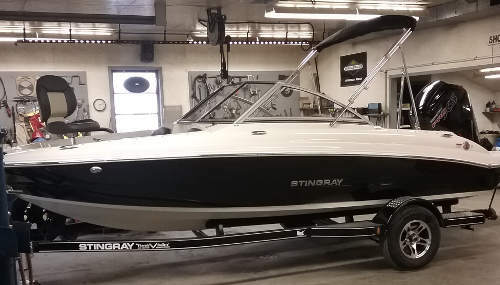 We take great pride in our service department and you can rest assured that with Neal's and Adam's over 30 years of combined experience in the marine industry, we always do our best to repair your outboard right the first time and get you and your family back on the water as fast as possible. Please call 507-835-3032 or E-Mail neal@southsidemarine.com to schedule your appointment. Parts & Accesories: In need of some parts or accessories for your boat or motor give us a call and we can help you find what you are looking for. Maybe you really like your current boat but are thinking of updating your locators or trolling motor, give us a call and we can get you a price quote on the electronics only or electronics and installation. If you are looking for parts for your outboard please provide us with the model and serial number. This is needed to ensure the correct parts are looked up.